Russia reportedly hacked into a sensitive part of the White House computer system recently. They were able to view Obama’s schedule. And two Russian spy ships are now operating off the US coast. 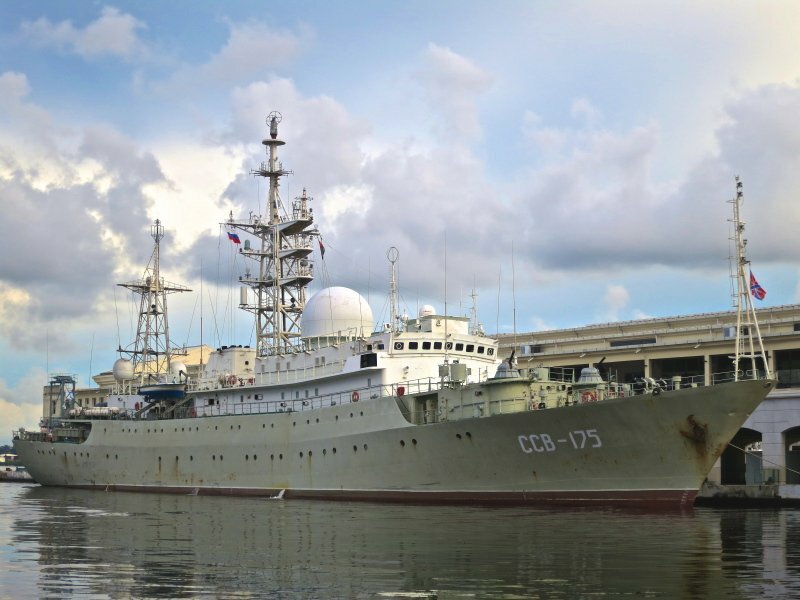 The Russian RFS VIKTOR LEONOV CCB175 was spotted near Havana in 2014. The Pentagon says there are now two Russian naval ships operating off of US shores. A second ship has recently come up from Venezuela. While the White House has said the breach only ever affected an unclassified system, that description belies the seriousness of the intrusion. The hackers had access to sensitive information such as real-time non-public details of the president’s schedule. While such information is not classified, it is still highly sensitive and prized by foreign intelligence agencies, U.S. officials say. The White House in October said it noticed suspicious activity in the unclassified network that serves the executive office of the president. The system has been shut down periodically to allow for security upgrades.